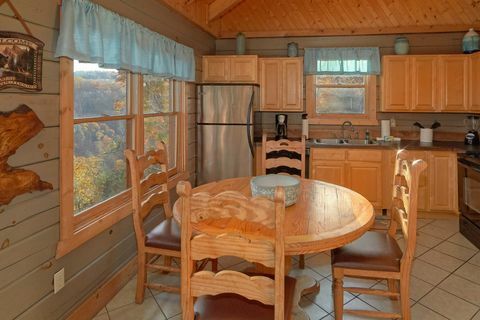 "Hilltopper," a cabin in the Pigeon Forge, Wears Valley area, rests minutes from Downtown Pigeon Forge attractions, shows, and more! 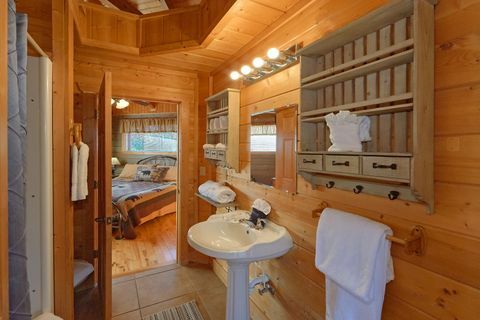 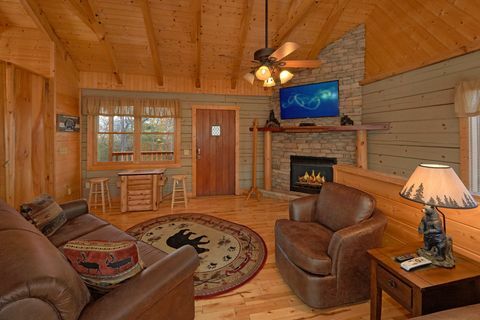 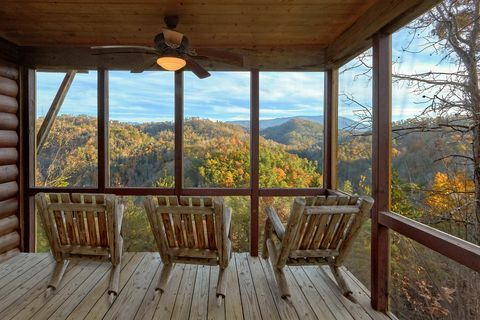 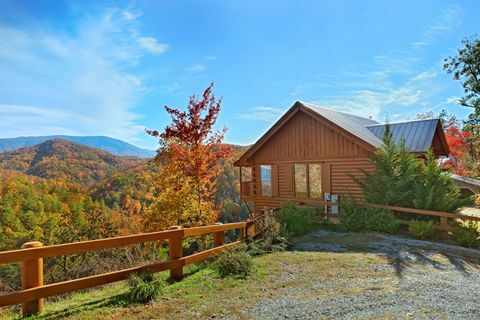 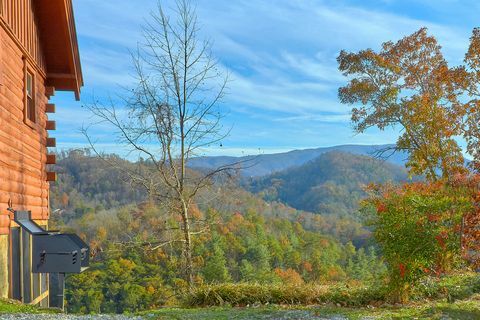 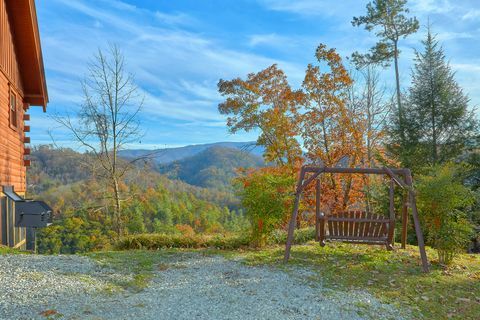 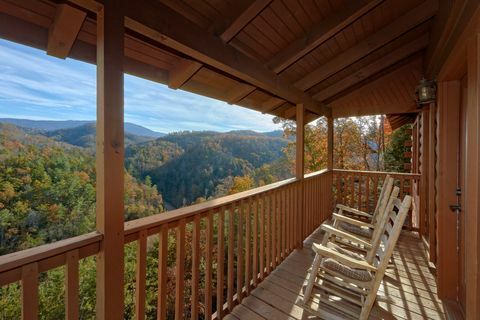 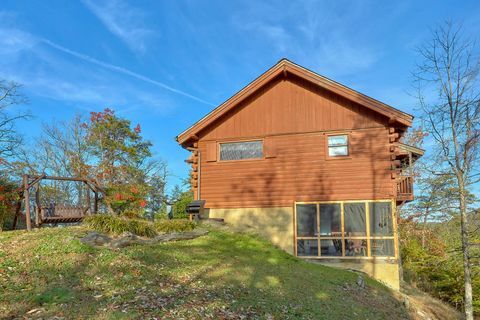 Nestled in a mountaintop setting surrounded by spectacular Tennessee Smoky Mountain views, this Wears Valley Pigeon Forge cabin offers the best of both worlds. 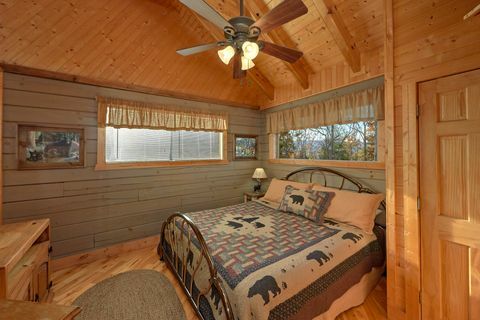 Your cabin boasts a spacious 2-story open floor plan. 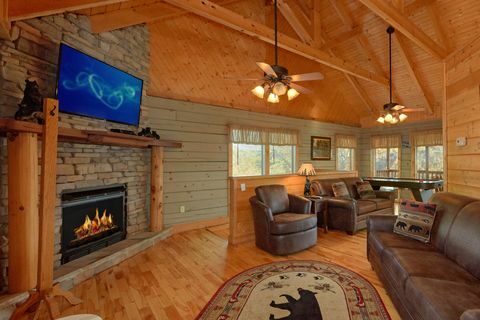 The main level offers visitors a comfortable living room with sleeper sofa, electric fireplace, and television. 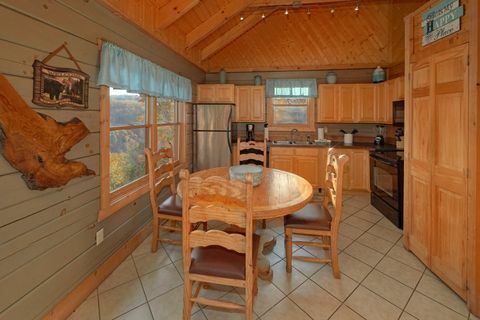 This level also offers a spacious dine-in kitchen with plenty of counter space for cooking homemade meals. 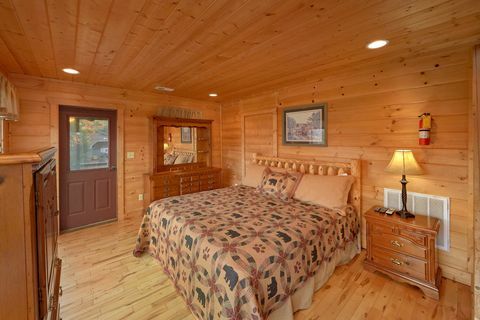 The master suite located on this floor feature a king-size bed, television, and private bath. 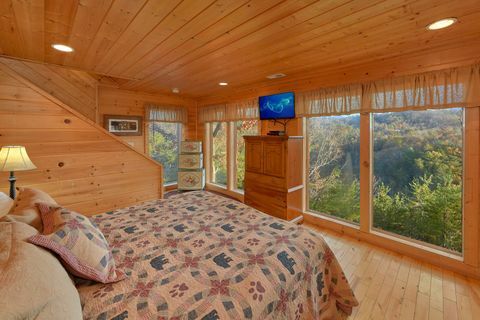 Downstairs, the lower level's sleeping area provides a king-size bed for a peaceful night's rest and a television for watching your favorite shows under the covers. 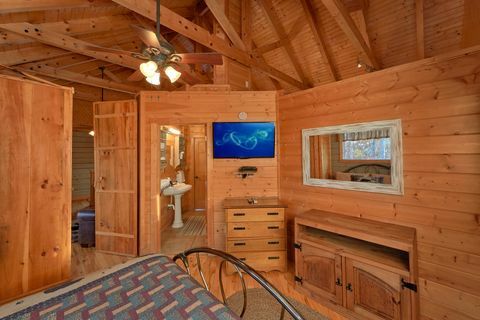 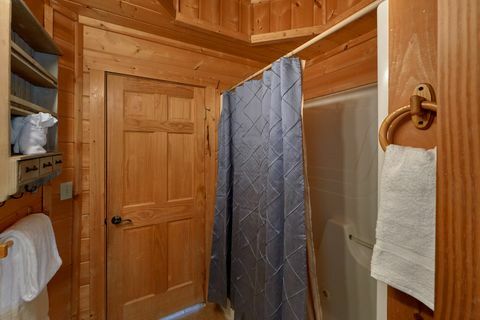 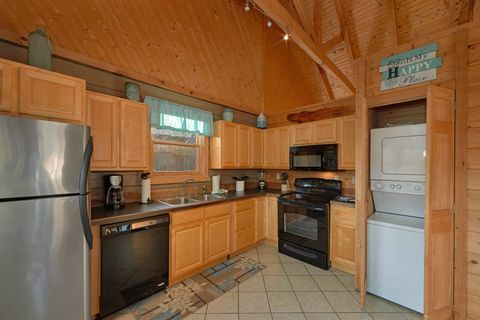 This cabin rests near the action-packed Parkway as well as offers a scenic drive to town dotted with local antique or mom-pop shops filled with the unique finds. 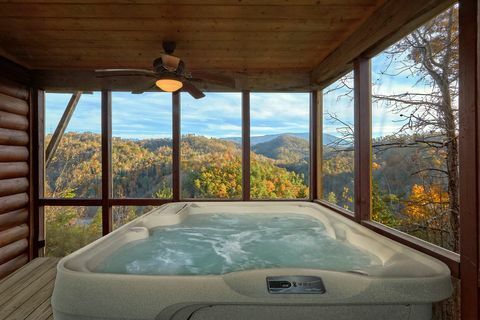 As your fun day in the Smokies nears to an end, take a few relaxing moments to enjoy a warm jacuzzi bath, a dip in the hot tub, or continue the fun with a few games of pool. 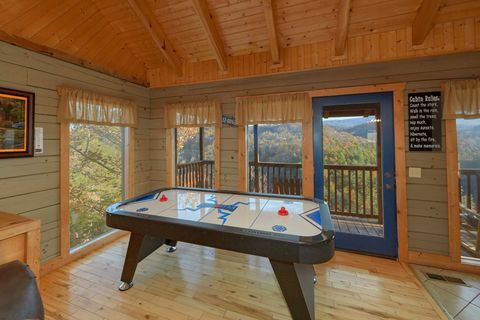 Your cabin also provides an air hockey table and a multi-cade arcade game as well! 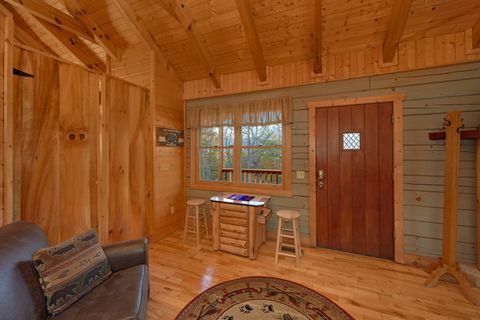 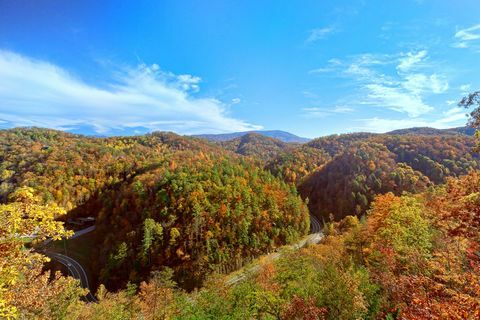 Book "Hilltopper" or any of our Wears Valley, Tennessee cabin rentals online for an immediate Online Cabin Discount! 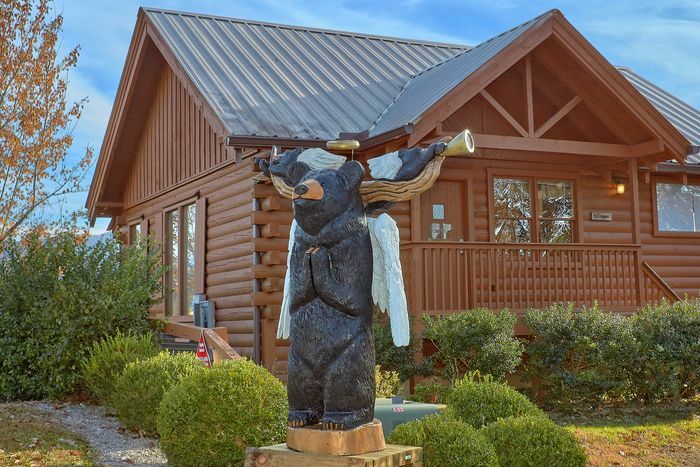 This cabin in Pigeon Forge Wears Valley rests are on top of a mountain and four-wheel drive vehicles are strongly recommended during the winter months.